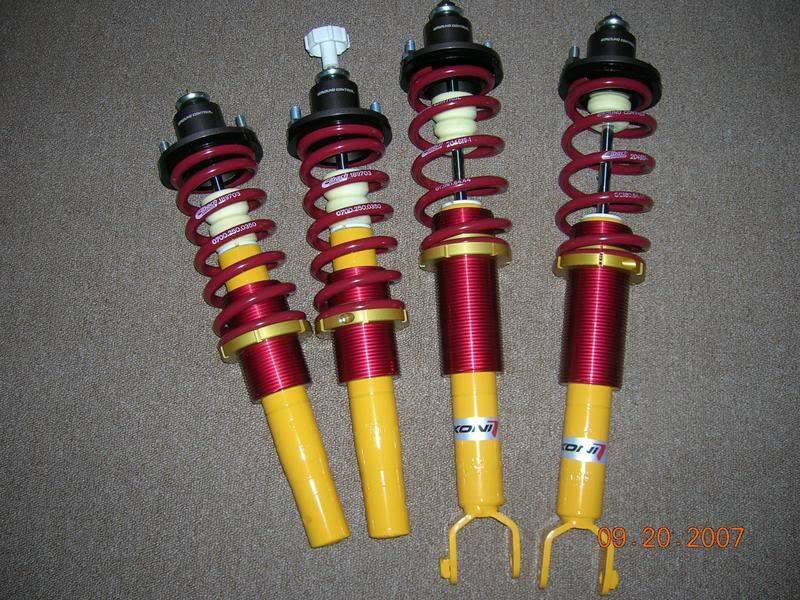 I am going to install megan racing coilover sleeves on my 96 honda accord. But the way the rear suspension is, the strut has a cup. The sleeves sink down in it, and im afraid its going to bottom out. Anybody has sleeves on their accord? Unfortunately, that's the way it will sit. When you go cheap with suspension, nothing will fit that well. And I will tell you now, if you are putting them on stock shocks, they will blow within a month. Have a fun time bouncing down the road. You very well may bottom out, because the shocks are old, and not designed for being lowered. Plus, you really don't know the spring rate of the Megan's I'm guessing. Now, a good setup like this comes at a price....around $850. But you get 2 name brand products with a lifetime warranty. Worth it in my opinion. If you don't want to spend that much, then go for a cheaper full coilover (meaning it includes shocks, springs, etc) setup such as Function&Form Type 1s for around $550. For coilovers, anything less than that won't be good quality.